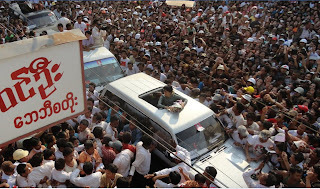 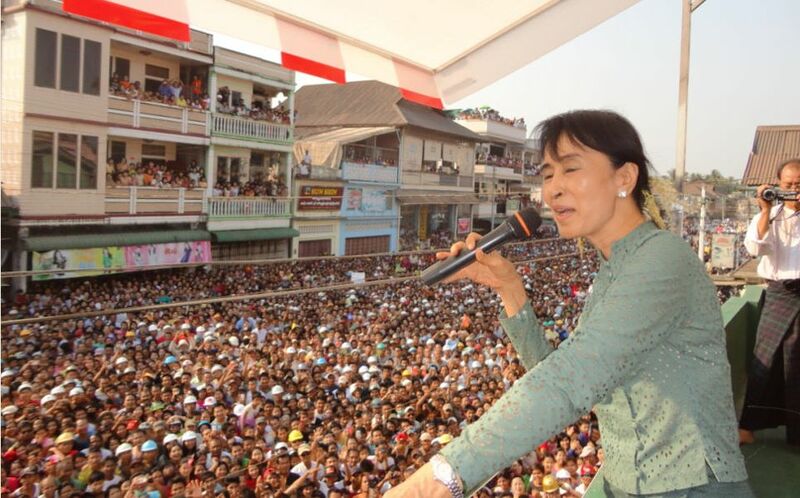 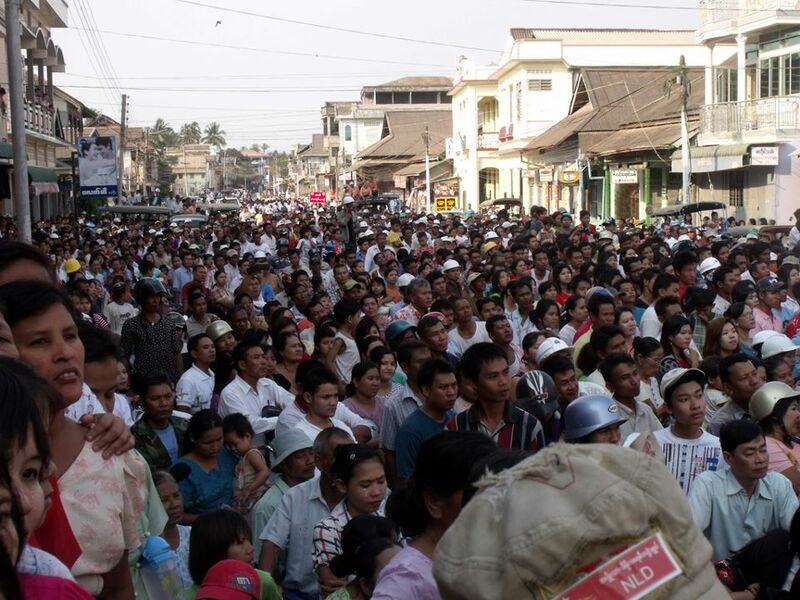 DAWEI, Myanmar — Thousands of supporters in Myanmar’s countryside cheered opposition leader Aung San Suu Kyi on Sunday as she made a political tour ahead of by-elections, highlighting how quickly and dramatically politics is changing in the long-repressed Southeast Asian nation. 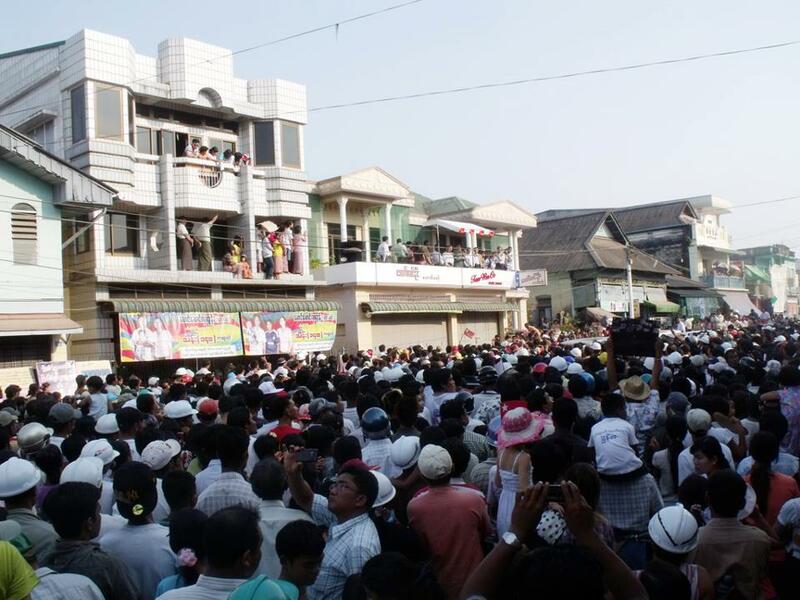 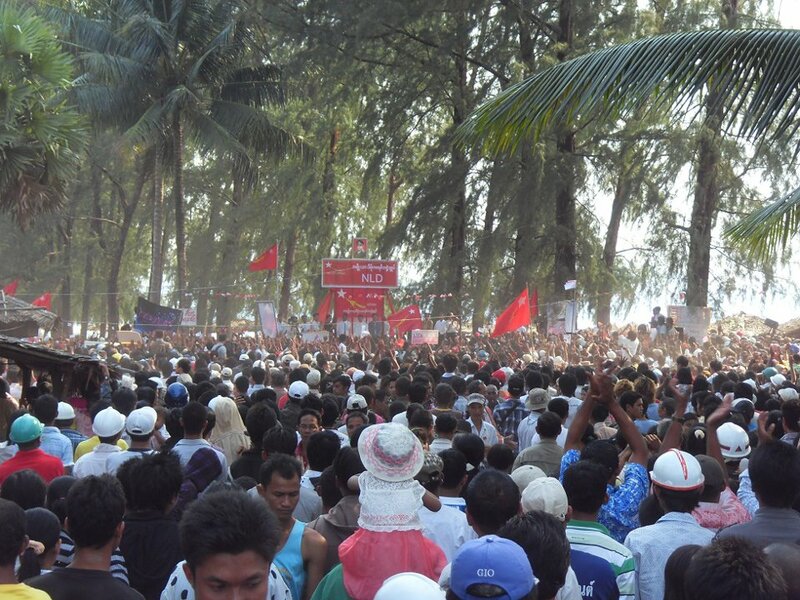 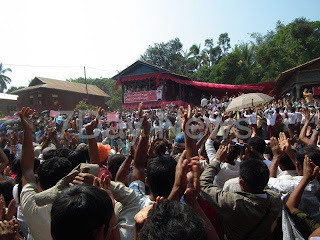 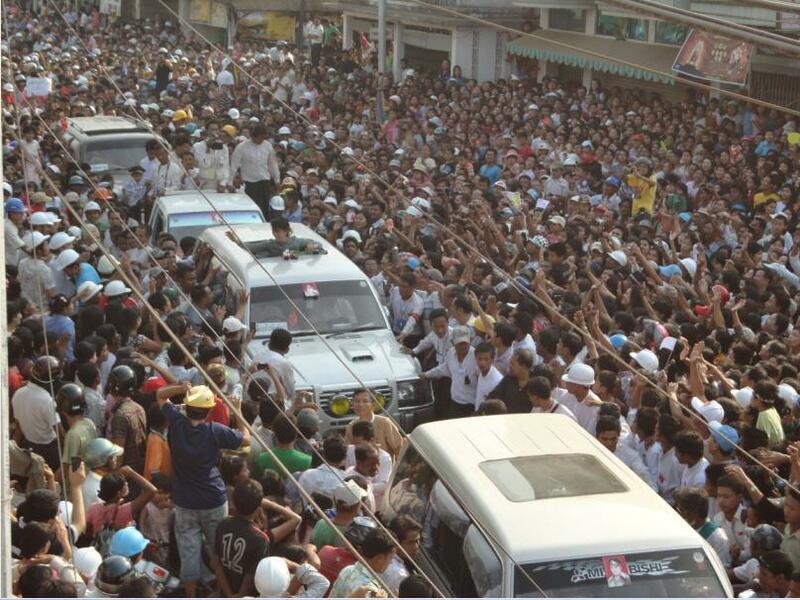 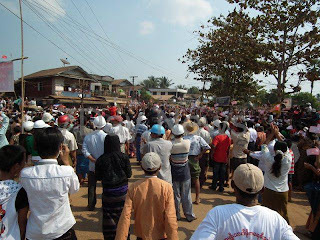 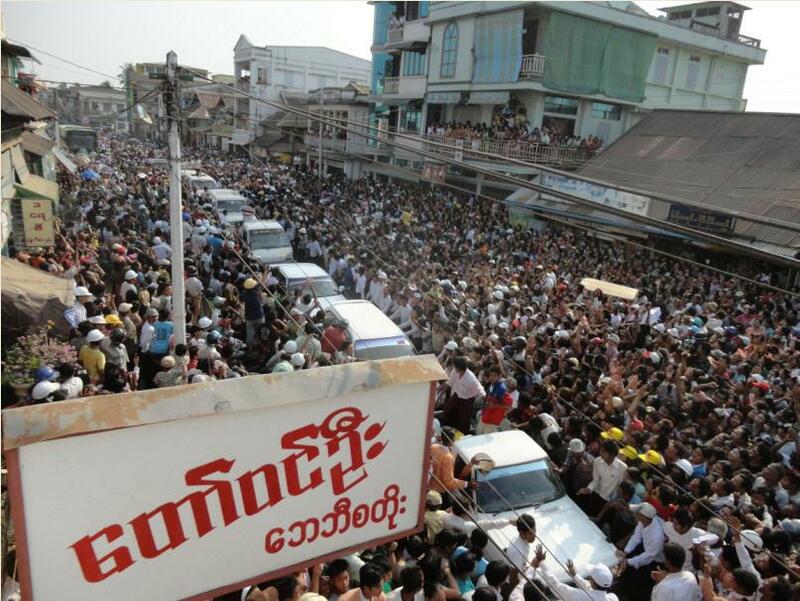 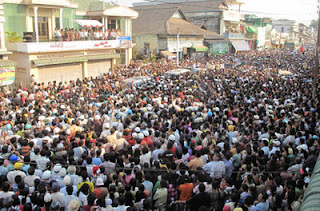 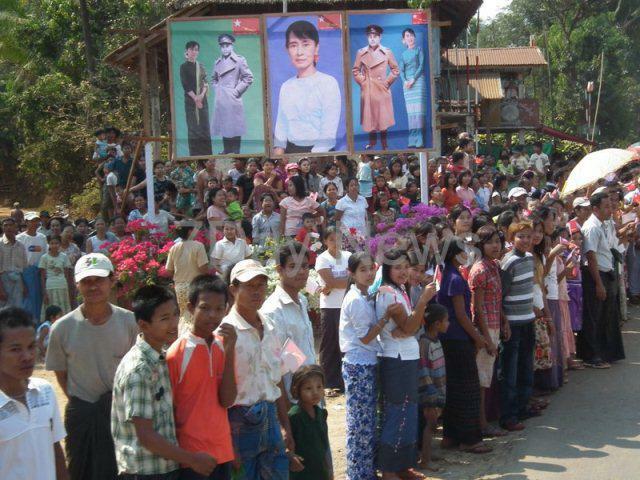 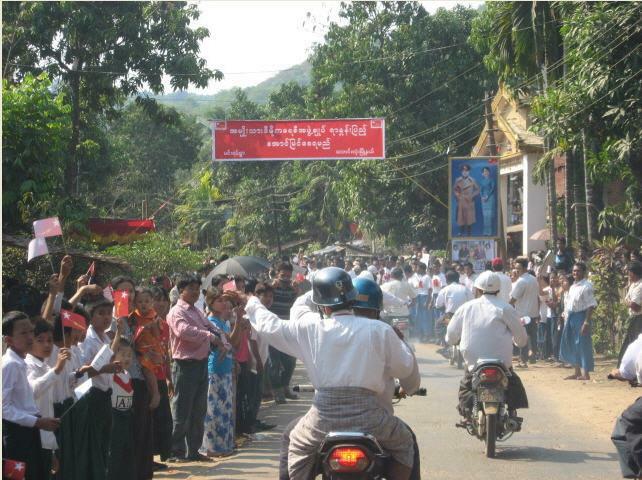 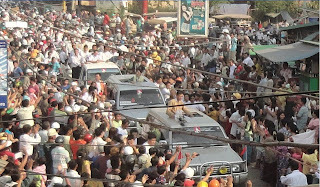 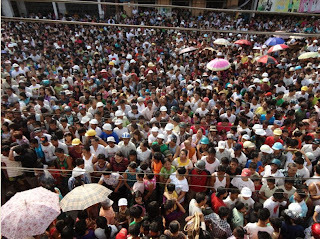 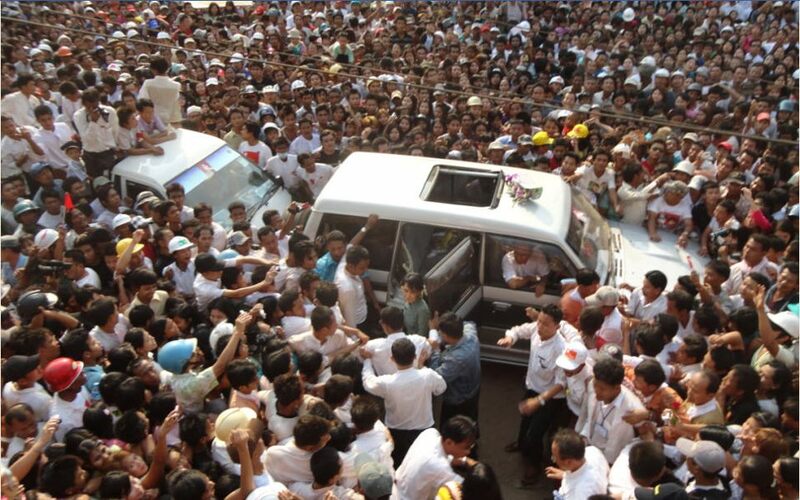 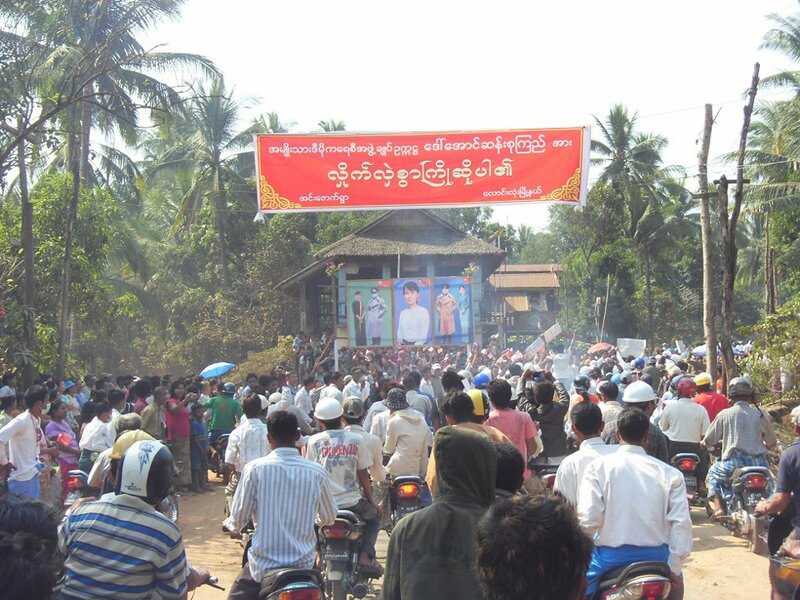 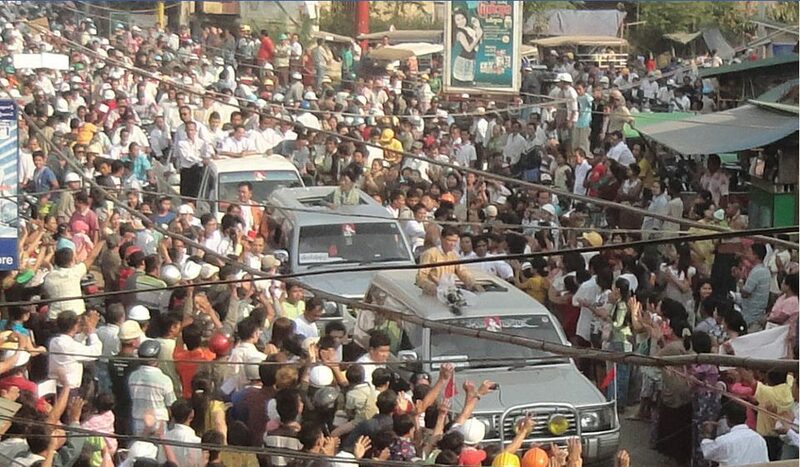 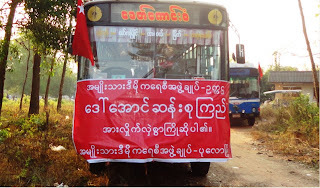 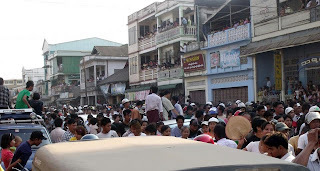 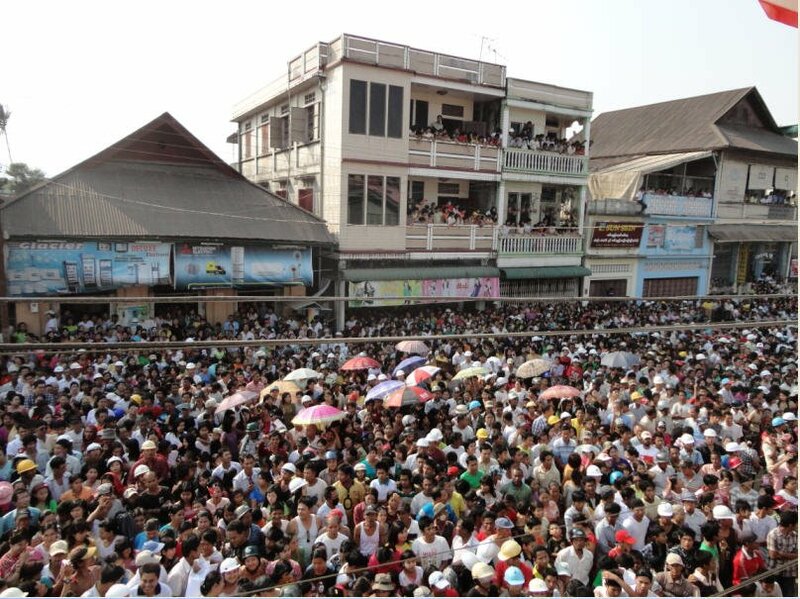 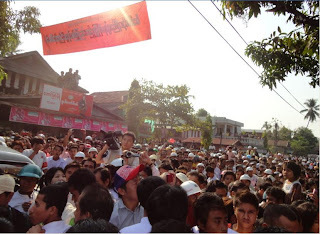 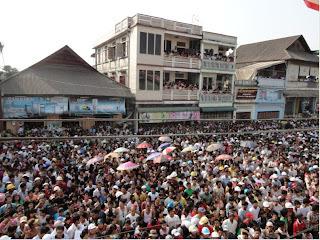 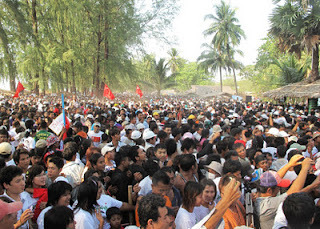 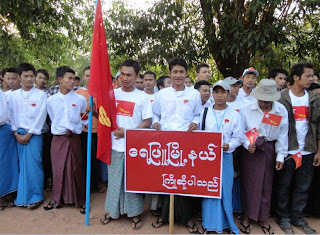 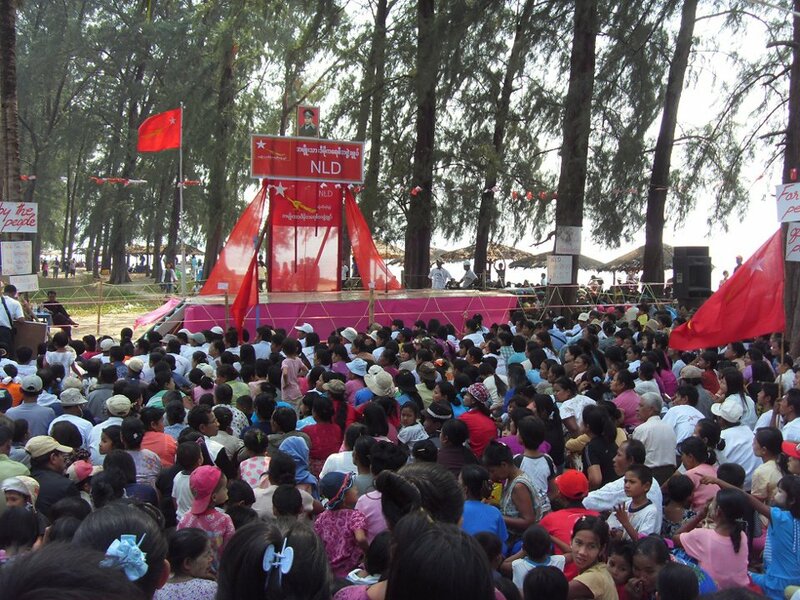 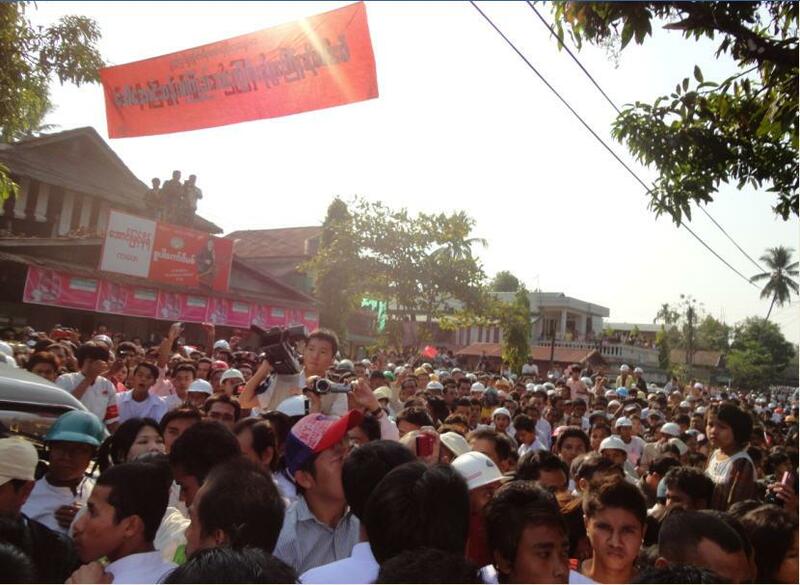 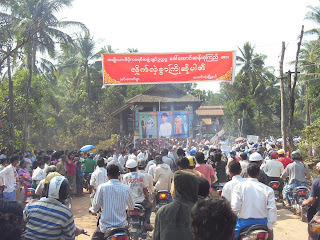 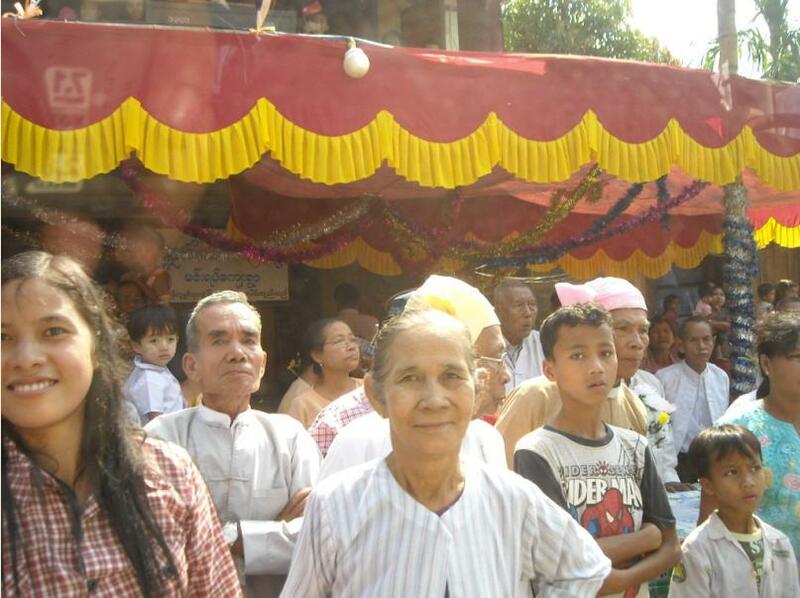 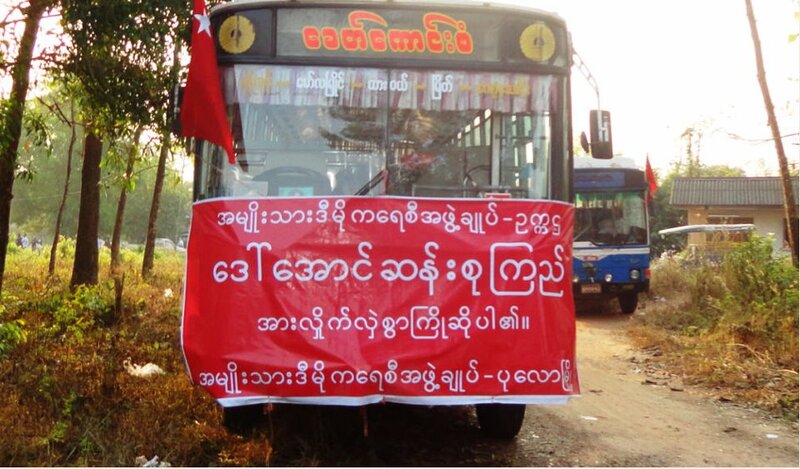 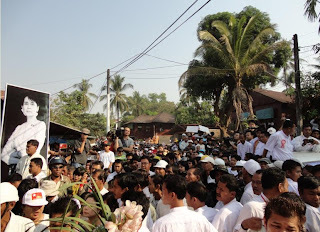 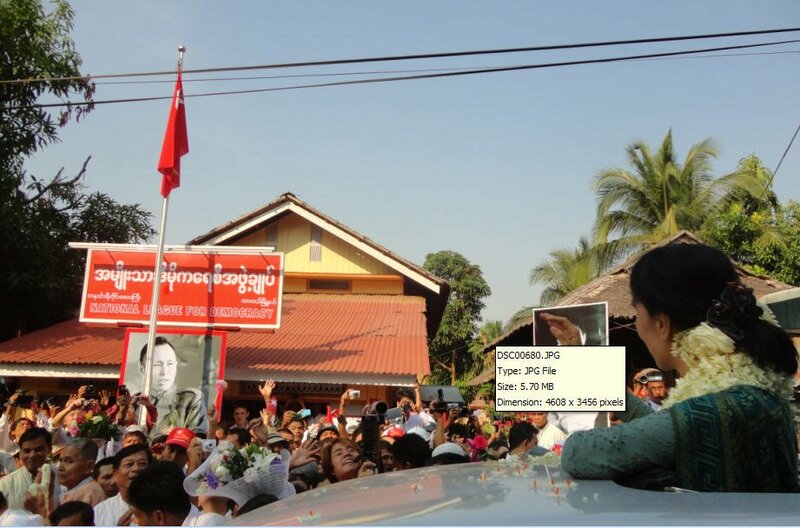 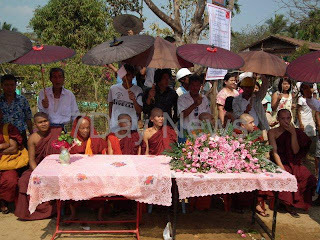 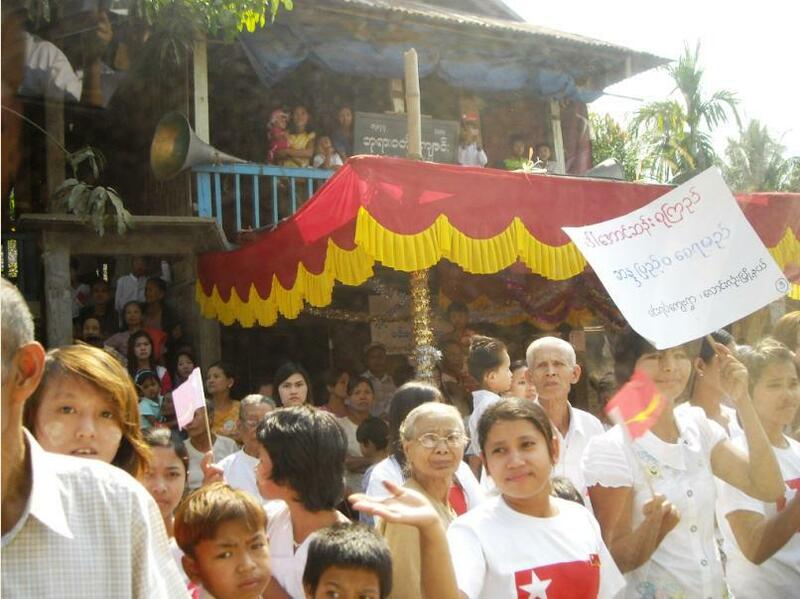 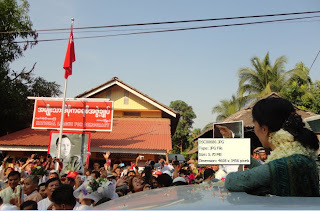 Throngs of people lined the roads of several towns in the southern district of Dawei shouting, “Long Live Daw Aung San Suu Kyi!” ‘’Daw” is a title of respect in Myanmar. 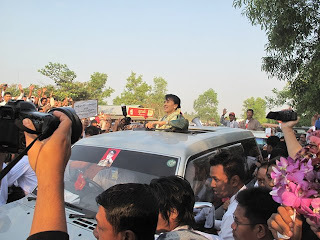 Many waved bouquets of flowers, and some hoisted babies on their shoulders to glimpse the Nobel Peace Prize laureate and former political prisoner on her first political trip since announcing a bid for parliament. 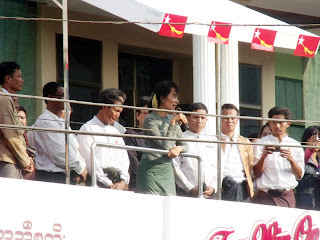 “We can overcome any obstacle with unity and perseverance,” she said from the second-story balcony of a provincial office for her National League for Democracy party. Suu Kyi, 66, has devoted much of her life to a struggle against authoritarian rule, but spent 15 of the past 23 years under house arrest and has never held elected office. 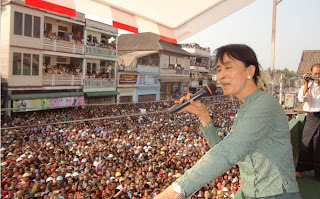 If she wins, she is likely to have limited power in the legislature, which remains dominated by the military and the ruling party, but victory would be highly symbolic and give her a voice in government for the first time. 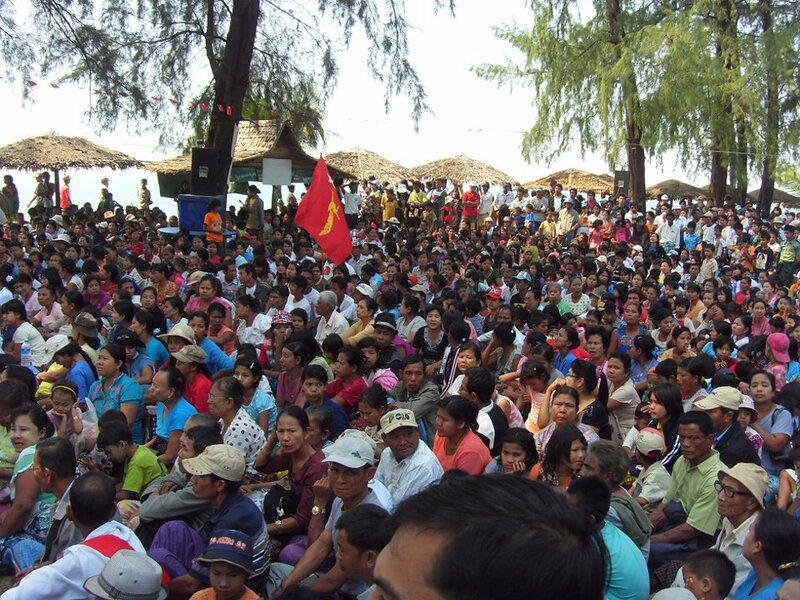 The one-day trip to Dawei follows a series of unprecedented reforms enacted by the nominally civilian government that took over when a military junta ceded power last year. 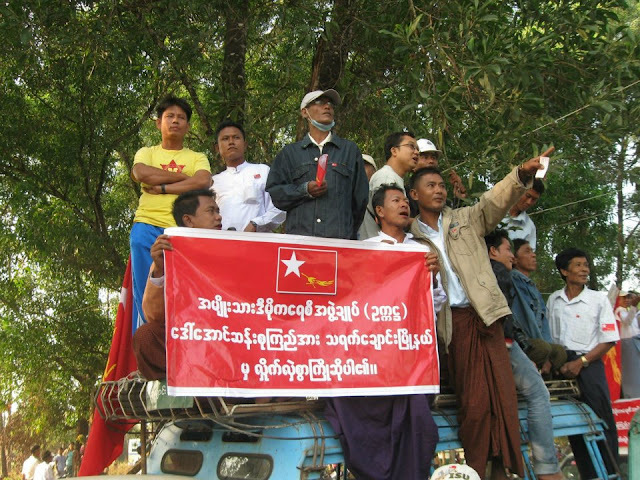 The government has released hundreds of political prisoners, reached cease-fire deals with ethnic rebels, increased media freedoms and eased censorship laws. 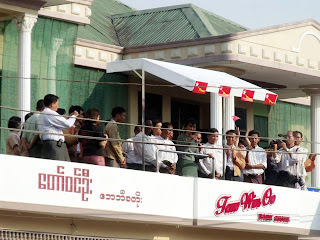 The April 1 by-election is being held to fill 48 seats in the lower house of parliament that were vacated after lawmakers were appointed to the Cabinet and other posts. 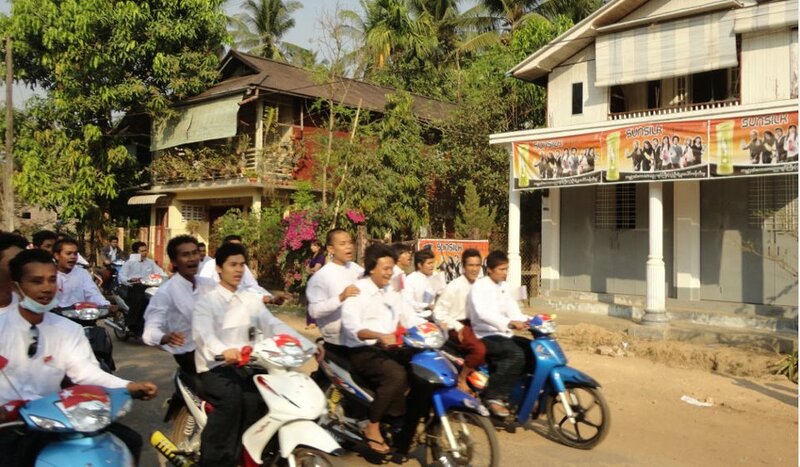 Suu Kyi’s party boycotted the last vote in 2010, but registered earlier this month for the by-election after authorities amended electoral laws, enabling her party to legally participate. 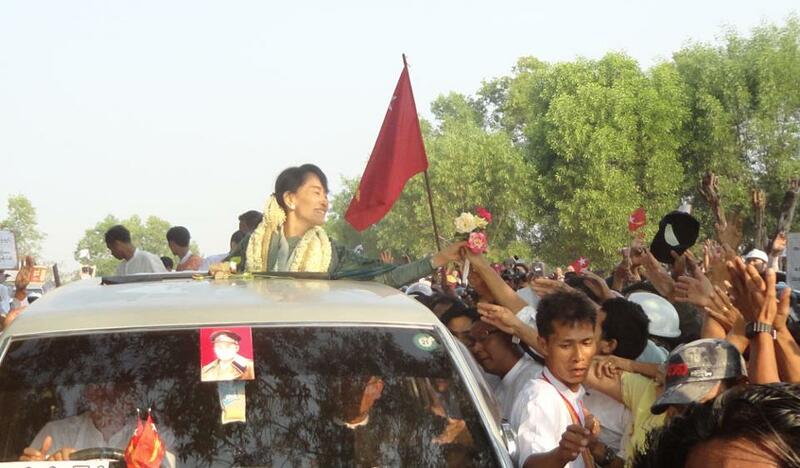 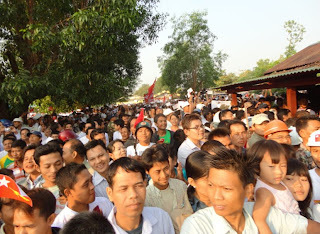 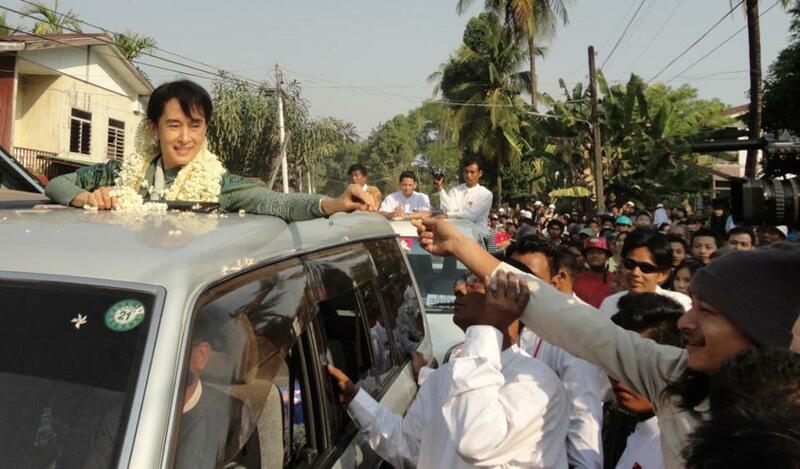 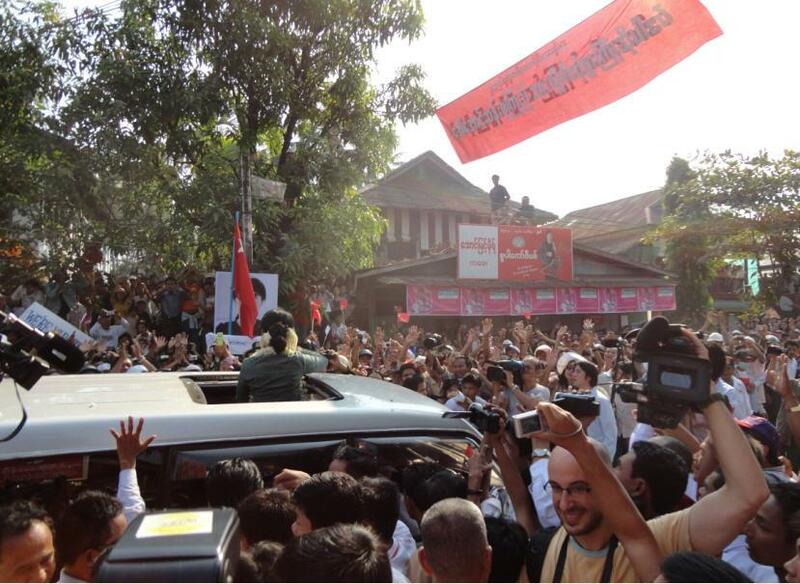 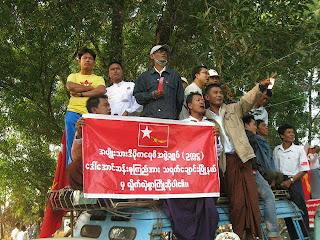 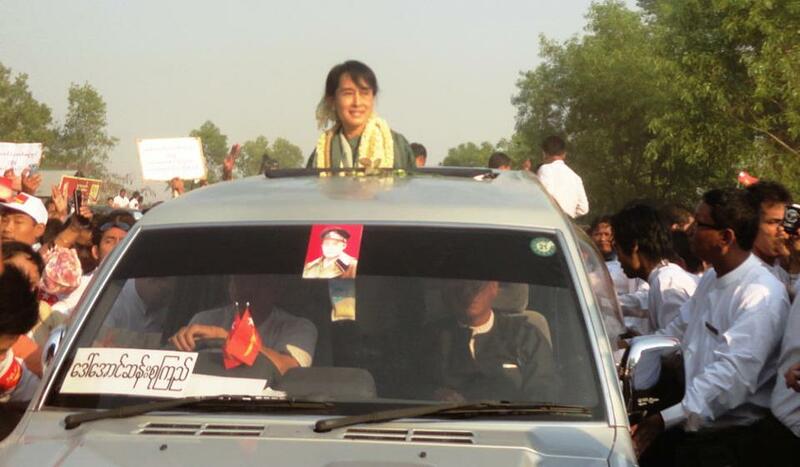 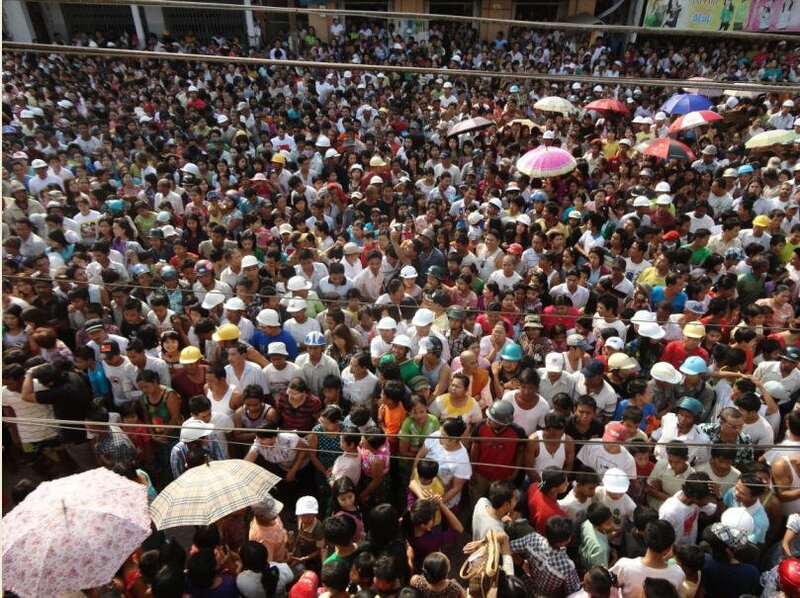 The Election Commission must still accept Suu Kyi’s candidacy. 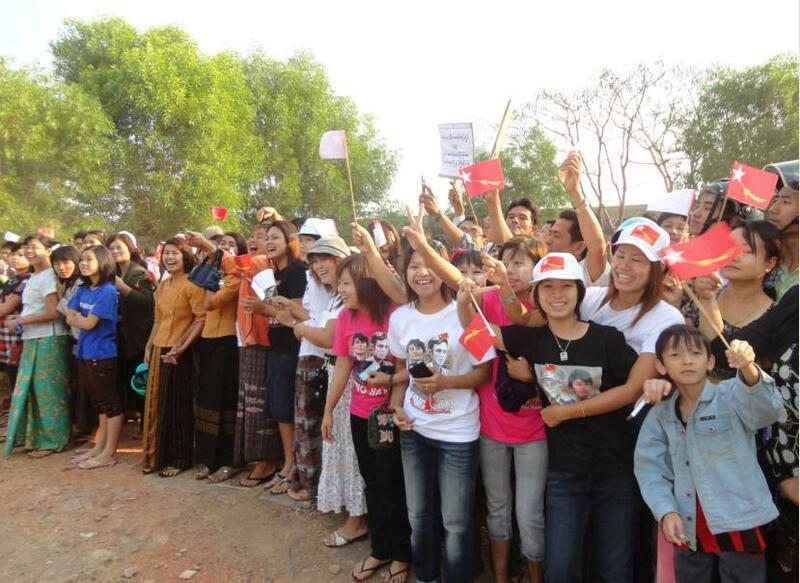 A ruling is expected in February. Suu Kyi is hoping to run as a representative of the constituency of Kawhmu, a poor district just south of Yangon where villagers’ livelihoods were devastated by Cyclone Nargis in 2008. The vote is being closely watched because it is seen as a crucial test of the government’s commitment to change. 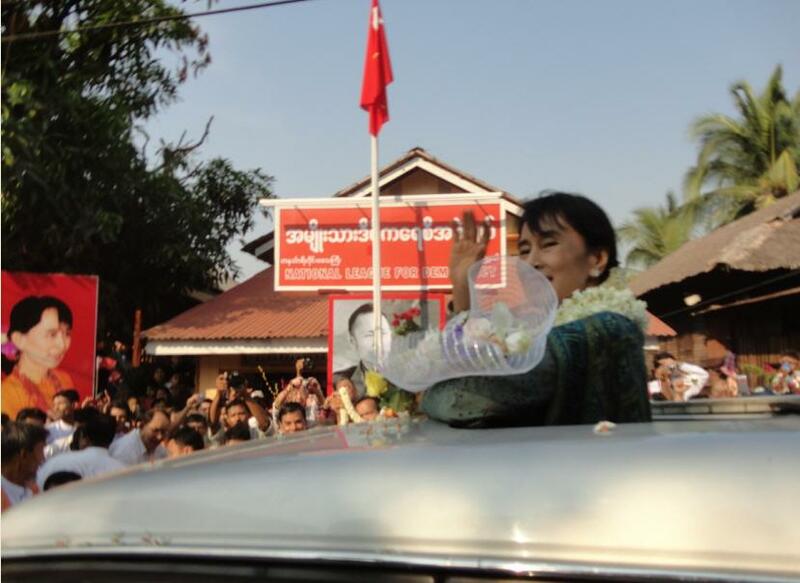 Suu Kyi, who won the Nobel Peace Prize in 1991 for her nonviolent struggle for democracy, has rarely traveled outside Yangon, the country’s main city, over the last two decades. 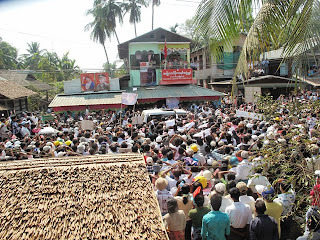 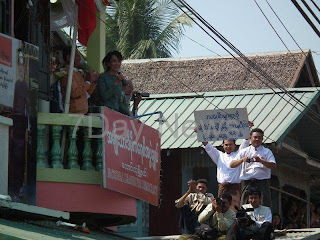 Although she conducted one successful day of rallies in two small towns north of Yangon last August, a previous political tour to greet supporters in 2003 sparked a bloody ambush of her convoy that saw her forcibly confined at her lakeside home. Suu Kyi was finally released from house arrest in late 2010, just days after the country’s military rulers held elections widely viewed as neither free nor fair. 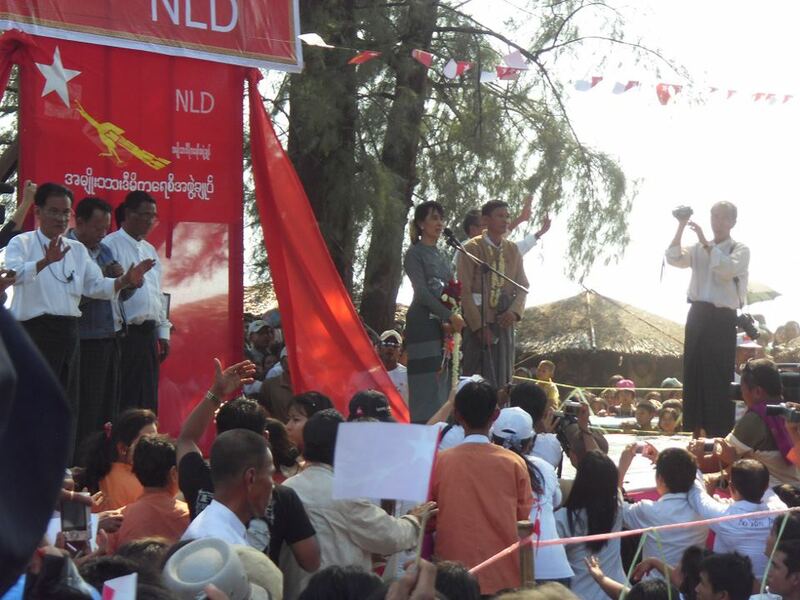 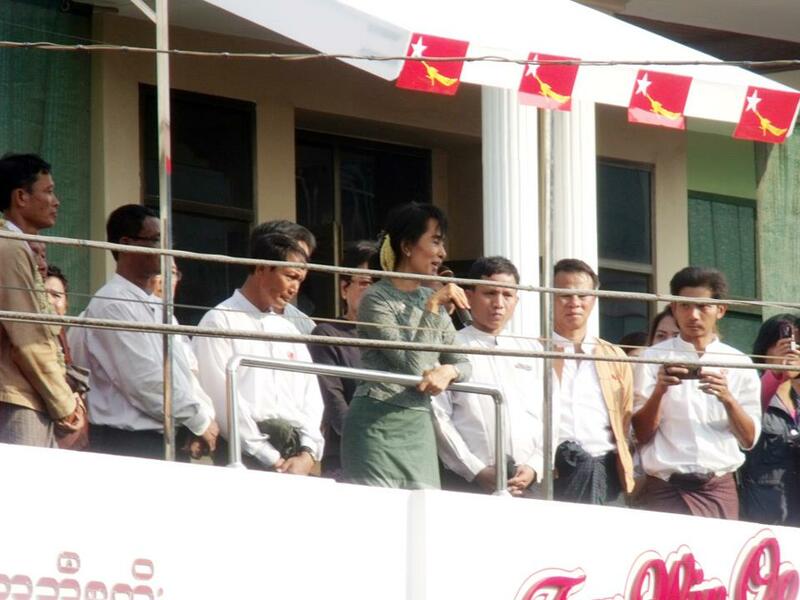 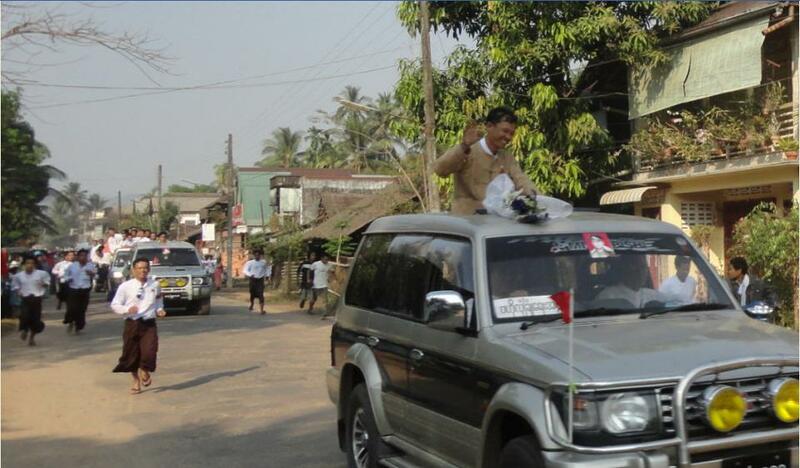 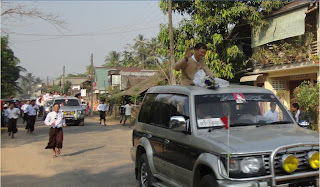 In Dawei, a coastal district south of Yangon, Suu Kyi was garnering support for another candidate running for a parliament seat, party spokesman Nyan Win said. She will make similar campaign trips to other areas, including the country’s second-largest city, Mandalay, in early February before campaigning for her own seat, Nyan Win said. 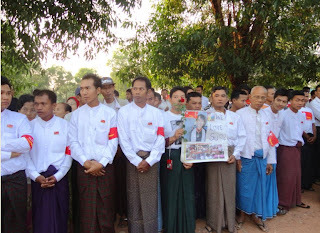 Dawei is home to activists who recently helped persuade the government to ditch construction of a 4,000-megawatt coal-fired power plant over environmental concerns. A 400-megawatt coal plant is still planned, however, because it will be needed to power a massive industrial complex project that includes construction of a deep sea port, a steel mill and a petrochemical plant. 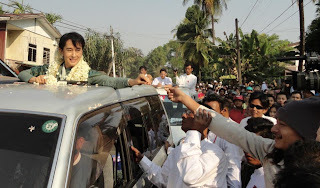 The project also includes railroads and highways that will connect Myanmar’s coast directly to Thailand and the rest of Southeast Asia. 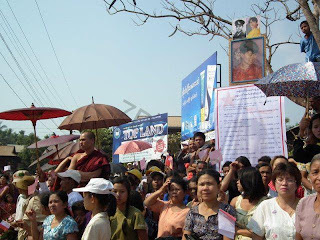 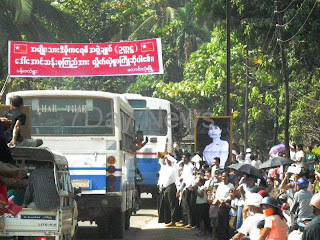 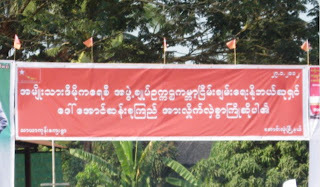 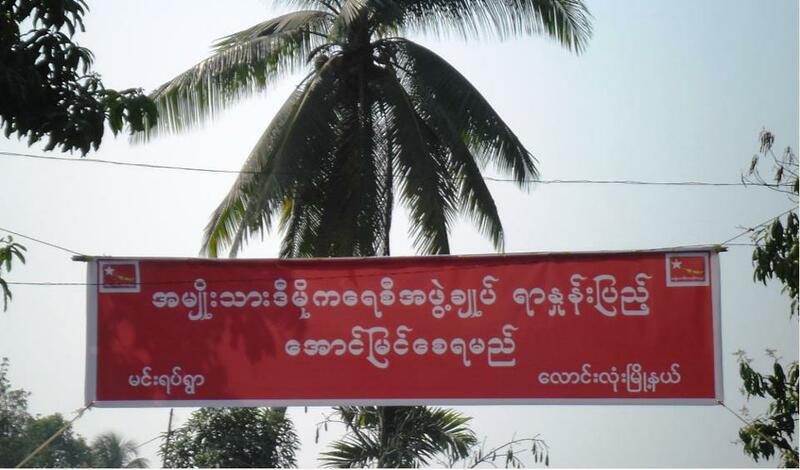 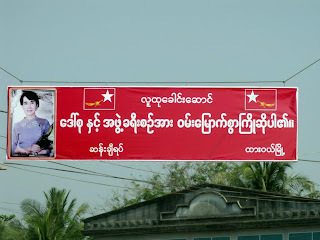 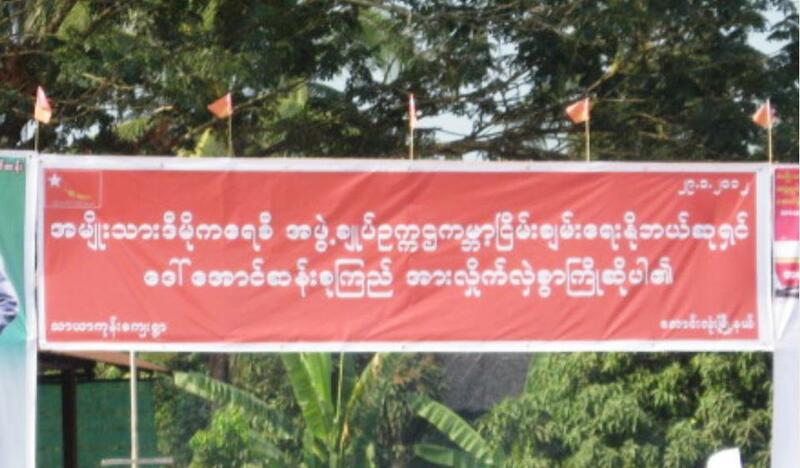 Banners with Suu Kyi’s pictures decorated the area.